Huangshan Home Youth Hostel is located in Huangshan city's political and cultural center, a ten minute walk to Huangshan TV, Century Plaza, Taiwan Ke Long supermarket, hospitals, railway stations, and shopping malls. It is 10 minutes by car from Tunxi Old Street, with convenient traffic. We have prepared for you fine, warm apartments with separate kitchens and bathrooms, and 24-hour hot water. Each apartment is equipped with a TV, telephone, air conditioning, free broadband Internet access, allowing you to enjoy a fast and convenient lifestyle. Our comfortable, simple and stylish double beds, warm layout, and four-star hotel quality matching towels and bedding will allow you to experience a luxurious quality of life; 4 and 6 person rooms, with bunk beds, are equipped with an LCD TV, air conditioning, and toiletries. Apartment prices are between 100-200 yuan per suite. You can stay relaxed, especially for short-term visits to Huangshan friends. The longer you stay, the more economic for your expenses. For a satisfying restful learning experience, there is self laundry, simple cooking and other aspects of life's basic needs. 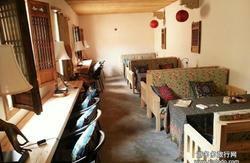 Huangshan Home Youth Hostel is more intimate than other guesthouses and hotels and more than just a warm home. We provide better quality than ordinary hotels, with better towels, slippers, toiletries and other household cleaning products. 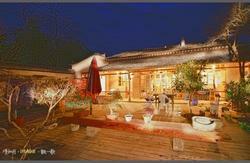 Huangshan home is the perfect place for your vacation, tourism, leisure, and business! 1. From Hangzhou: bus from Hangzhou West Bus station (89rmb/3h) to Tunxi bus terminal. Walk out (south exit) and cross the street. Take bus 12(1rmb) eastwards (BeiHai road) and get off at the second stop. Cross the road and walk to the small street on the other side (there is just one). Continue for 50meters and you get to us. Taxi (10-15rmb) or bus 9 to the train station and walk from BeiHai road eastwards for 10-15min or change to bus 12 (directions form the train station above). Taxi (40rmb). If you let us know your date and flight we can pick you up for free (max 2 people). Please have our phone number and address in Chinese with you. If you have any problems finding us, just call. We will go out to find you.